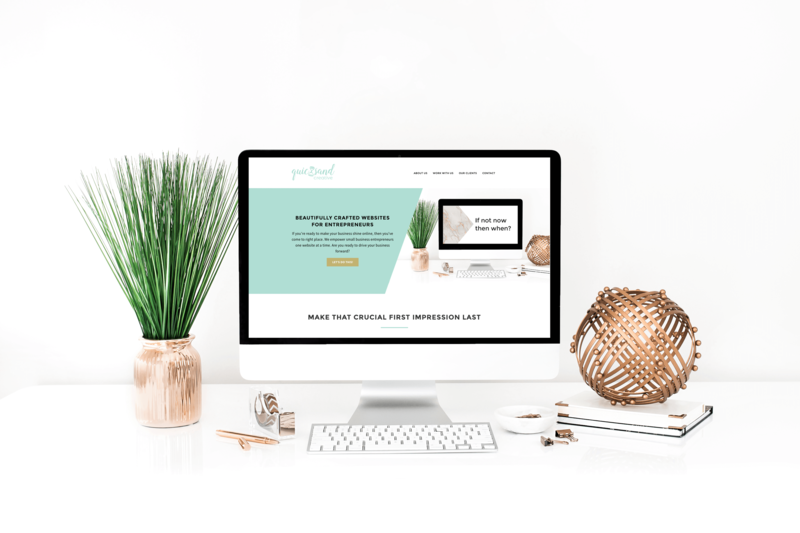 Whether you are just starting out or have been a business owner or entrepreneur for years, your website needs to make an impact – and it needs to be attracting clients so you can do what you love. If you’re still using a Facebook page as your “site” (it’s OK, I know you’re out there) or if you’ve been putting off building a professional website for awhile, I ask you one question. If not now, then when? We partner with you to create a website that conveys your vision and values, and above all else, allows you to live your purpose. It’s time to invest in you and the life of your dreams. WHAT’S INCLUDED WITH OUR WEBSITE DESIGN SERVICES? This strategy session is all about you and your business. We will discuss your business, mission, goals and all the things related to designing your dream website. After the strategy session, we develop two website design mock-ups based on what we discuss during the strategy session. From this stage, you have the opportunity to provide feedback and really start to see the design come together. WordPress is an amazing platform because it’s so customizable and flexible. From security plugins to SEO, we help you select the right plugins for your site and get them up and running. Each website includes basic on-page search engine optimization setup for each page of the site. That means we will select keywords to target and take care of placing them in the correct data fields so you don’t have to. Mailchimp? ConvertKit? Not sure where to start? No worries, we’ll help you decide which platform to use and take care of setup and site integration. All of our websites include social media integration, which makes the transition from your website to your social profiles seamless. This is a non-negotiable when it comes to website design. Each website we design is fully responsive and mobile friendly. Sure, Gmail and Yahoo are great, but when it comes to professionalism, having a branded email address gives you more cred. We’ll help setup your email address through your hosting provider – or you can take advantage of our hosting and maintenance services. We want our clients to feel empowered when it comes to their website. That’s why we include one-on-one WordPress training. Each of our sites is built on the WordPress platform because we believe that you should have the power when it comes to your website and your content. Additionally, we are here to support you well beyond the completion of your website project. Interested in totally done-for-you hosting and maintenance? Check out The Minted Package.